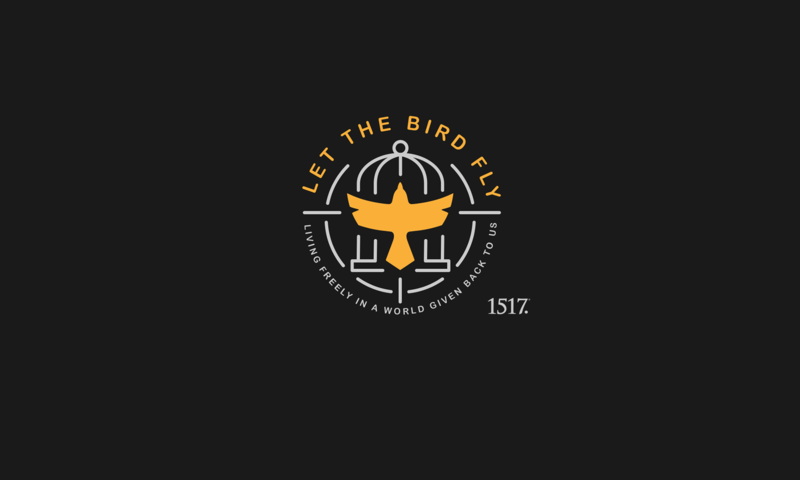 Elijah and the Widow – Let The Bird Fly! I asked a dead man to mow my lawn and a week later it was overgrown. I asked a blind man to drive me to the airport, and we crashed. I asked my enemy to come for dinner and he never showed up. It’s not a surprise. Dead. Blind. Enemy. We believe what the Large Catechism teaches about God’s Word. “Neither you nor I could ever know anything about Christ, or believe on him, and have him for our Lord, unless it were offered to us and granted to our hearts by the Holy Spirit through the preaching of the Gospel.” There’s this treasure of forgiveness, life and salvation that is there for me because of Jesus and treasure is great. But, if I’m dead, I can’t enjoy it. If I’m blind I can’t see it. If I’m an enemy, I’d never believe it’s mine. That’s the result of sin. I wouldn’t choose to follow him, if I could. I can’t do anything for myself or for my salvation. But what I can’t do, he graciously did for me. I can’t do anything for myself or for my salvation. But then remarkably God not only works saving faith in my heart, he includes me in the work of bringing this gospel of salvation and saving faith to others! God graciously has me open my mouth, my hands, even my pockets to praise God before others. 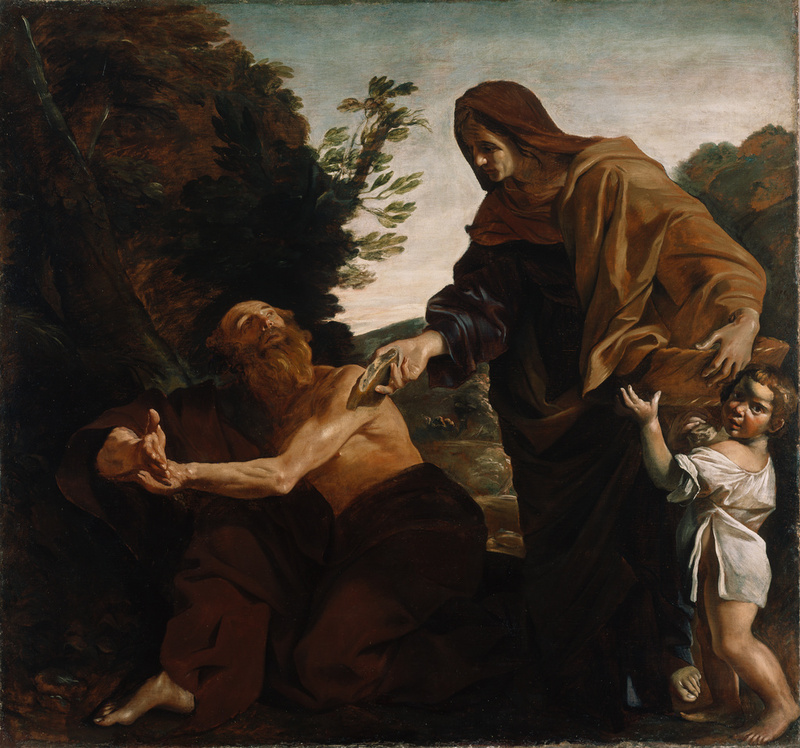 We see this as God provides for Elijah through the widow at Zeraphath. That I need God to give me everything that I need for body and especially for my soul is seen in Elijah’s own need for God to provide for him. “No rain for 3 years!” Elijah says to Ahab. Now, Ahab was arguably Israel’s most wicked king ever. At his time, Israel worshiped a false god called Baal, the rain god, and another false God called Asherah, the crop-growing god. The punishment fit the crime. “If you think that it’s these false gods that take care of you, and give you rain and crops, then how about no rain and famine for three years?” But, what about Elijah? He’s God’s faithful prophet. He hasn’t bowed down to Baal. He hasn’t prayed to Asherah. No rain and famine… it’s a punishment that fits the crime, but Elijah’s caught in the middle of it! There’s nothing he can do either to take care of himself. But, God provides when Elijah can’t provide for himself. For a time, God had ravens bring bread to Elijah each day. Now God sends him to this widow of Zarephath, a foreign city north of Israel. “I have commanded a widow in that place to supply you with food.” In other words, “No matter what you see, this woman can and will take care of you!” God provides when Elijah can’t and God provides even when this widow can’t. She doesn’t have bread. She only has enough flour and oil to get her and her son through this one day. She’s resigned herself to starvation. She can’t do it, but, “This is what the LORD, the God of Israel, says, “The jar of flour will not be used up and the jug of oil will not run dry until the day the LORD gives rain on the land.” God provides because we can’t. It’s good if you put yourself in this widow’s shoes. You are picking up your last few sticks, for your last fire, for your last meal, for you and your boy. This is it! For days, for weeks, for months, she has watched what little she had dwindle down to nothing. There’s no rain. Crops don’t grow over night even if there were rain. You can’t get oil from non-existent olives. “This is it.” Don’t be surprised when God lets life get that desperate. If I don’t have a need, if I don’t despair of myself, if I don’t feel weak, what need do I have of God, of providence, of salvation? But, God first lets her see her desperate need. Then God speaks through his called worker, Pastor Elijah, “Don’t be afraid.” And through it all, this widow trusts God! God worked faith in her heart through his promises and she believed. Ah, then we see God’s grace widen, and deepen and broaden right before our eyes. I can’t do anything for myself to provide for my stomach, much less for my soul or for my salvation, but then remarkably God, not only provides the very best for me when I need it, but then has the grace to include me… to provide the very best for others through me? The widow couldn’t provide for herself. But, God has her provide for Elijah, his called worker! Amazing grace! Do you see? Oh, her sinful nature must have heard those words from Elijah’s mouth, “But first make a small cake for me… and then make something for yourself and your son.” First? What if there’s nothing left? Man, is he selfish! Typical pastor! Me-first! The audacity! The temptation was no doubt there, but her God given faith overcame. And not just once. Day after day for years. “She went away and did as Elijah had told her.” She emptied her cupboards every night, and slept like a baby, because she trusted that God would have them restocked by the morning—first to give for the work of the gospel, then for her and her son! Here is the good news power by which a broke widow gave everything: Jesus Christ, the Living Bread, has suffered and died for your every guilt. Jesus Christ has risen again so that you are right with God, so that with the widow of Zarephath you can confidently say, “I will not die but live.” Jesus Christ has prepared a seat for you at the eternal banquet with him in heaven. All these treasures of heaven are yours through that good news worked faith.